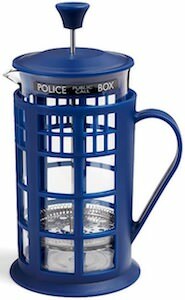 If you need your coffee to get going then you want to check out this Tardis smaller on the outside mug. 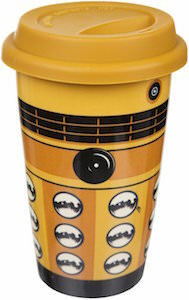 Doctor Who fans that normally we say the Tardis is bigger on the inside but this mug is giant on the inside as it offer space for 64oz of coffee, tea, or other drinks and that is like 3 times the size of a normal mug. The dark blue ceramic mug may need two hands when fully filled but it does mean you don’t need a refill soon. 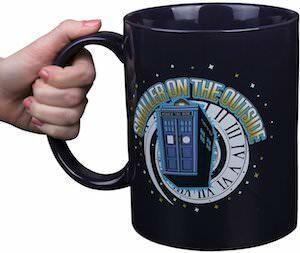 On the mug you can see the Tardis traveling through time and the text “Smaller on the outside” and on the back it has the BBC Doctor Who logo.